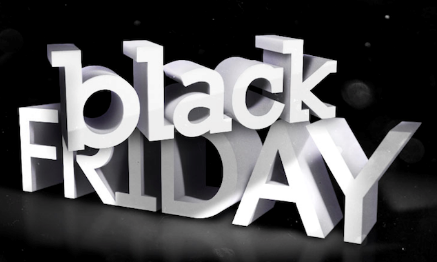 Studio Blog: What is Black Friday? Up until 2010, Black Friday was a phenomenon only observed in the US and Canada. It always falls on the day after Thanksgiving, and over the last 10 years, it has always been the busiest shopping day of the year in North America. Stores, both online and on the high-street, offer huge discounts and promotions to make the most of the occasion. For many, it is recognised as the unofficial start of the Christmas shopping period. Over the last 4 or 5 years, Black Friday has seen a huge surge in popularity in other areas of the world, such as Australia, the UK and other European countries. Why? Some people argue it’s due to the growth of American-owned companies across the world, while others point toward the steady spread of Americanised culture. Whatever the reason, Black Friday 2014 is set to be the biggest shopping day in UK history. The first use of the term can be traced back to 1960s Philadelphia, when Police officers referred to the day after Thanksgiving as Black Friday because of the mayhem than ensued as shoppers attacked the high street to start their Christmas shopping. The rest of the US quickly caught on to this term, and Black Friday’s popularity has grown ever since. The day is now a public holiday across most parts of the US, showing just what an important day it has become for the American retail industry. In financial sectors, many professionals claim that Black Friday is called such as it’s the first day of the year that many companies stop making a loss (in the red), and start turning a profit (in the black). Making its first appearance in 2005, Cyber Monday is a much more recent phenomenon than Black Friday. And unlike Black Friday, it focuses solely on online sales, as opposed to both online and high-street shopping. Cyber Monday always falls on the first Monday after Thanksgiving. Market analysts observed that this particular day always saw a huge spike in online sales as people returned to work after the Thanksgiving holiday period. From this research, the term Cyber Monday was coined and its popularity has grown since, particularly in the last 2 years. It is the biggest online shopping day of the year for many countries, including the UK. Look out for some jaw-dropping deals at 24studio.co.uk, starting on Friday the 28th of November running through to Monday the 1st of December. You’ll discover huge discounts on a wide range of products, from console bundles and tablets to Christmas lines and top-branded clothing. Make sure you don’t miss out!